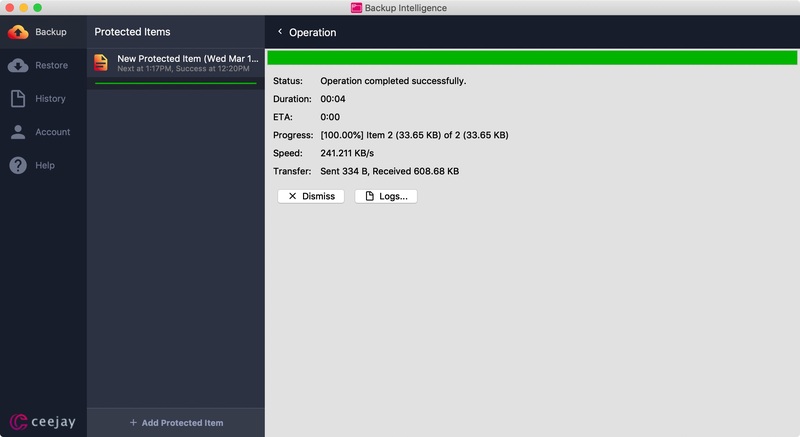 To restore files on Backup Intelligence, first, click the Restore tab on the left dashboard. 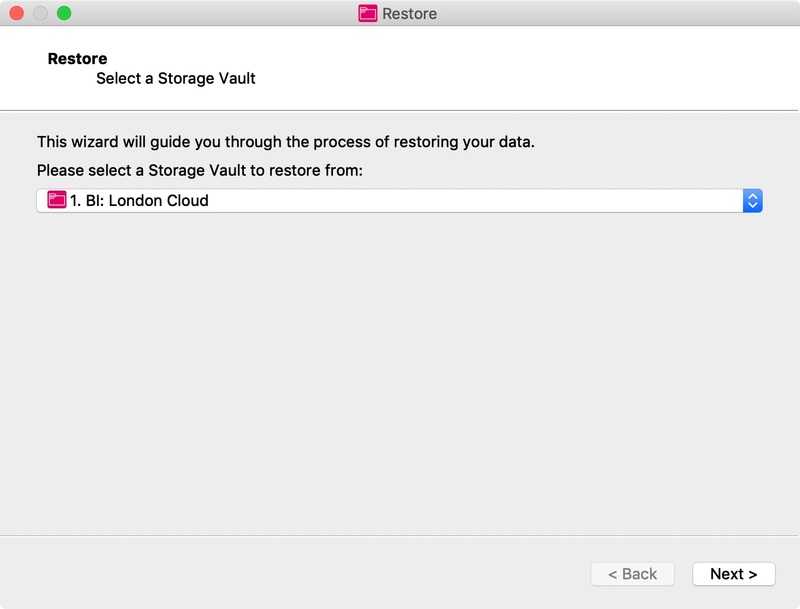 You will now be asked which storage vault you want to restore your data from. Click "Next" once you've chosen. After a moment, the next window will ask you which Protected Item you want to restore. 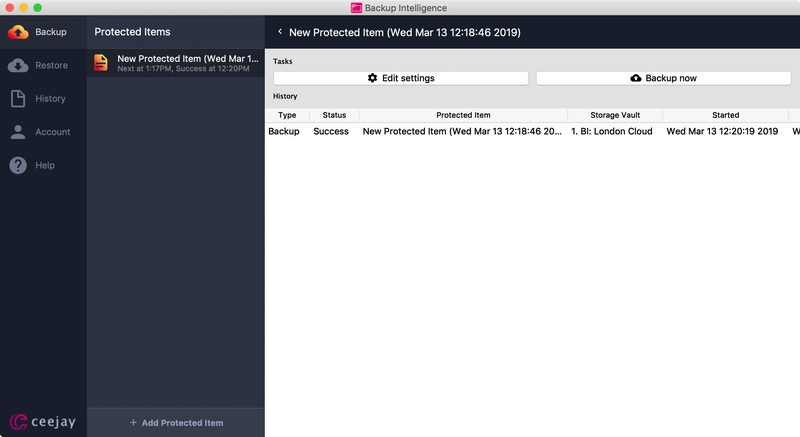 You can click the arrow to the left of each Protected Item to see a dropdown of each version of this Protected Item and the date each was backed up, allowing you to choose a version from the past if necessary. 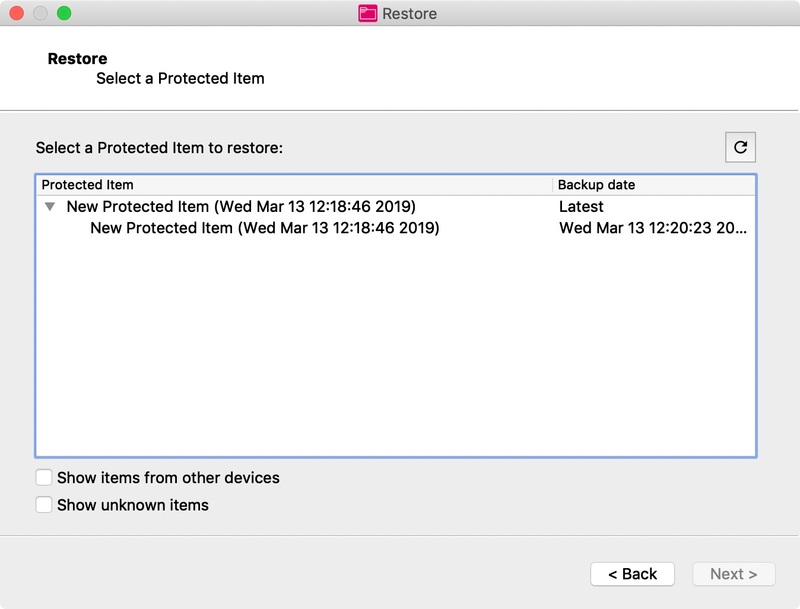 You can also restore Protected Items from other device's items and unknown items from the options below. Once you've chosen your Protected Item, click "Next". Now you can choose if you want to restore all files for this Protected Item, or only specific files from your file and folder hierarchy, which will show if you click "Select Items...". Once you've chosen your files, click "Next". Finally you now need to choose where on your computer you want your restored files to be saved. Click "Browse..." to select a location. If you choose the original location your files were to begin with, you will also have the option to overwrite any existing versions of your files currently still in this location. 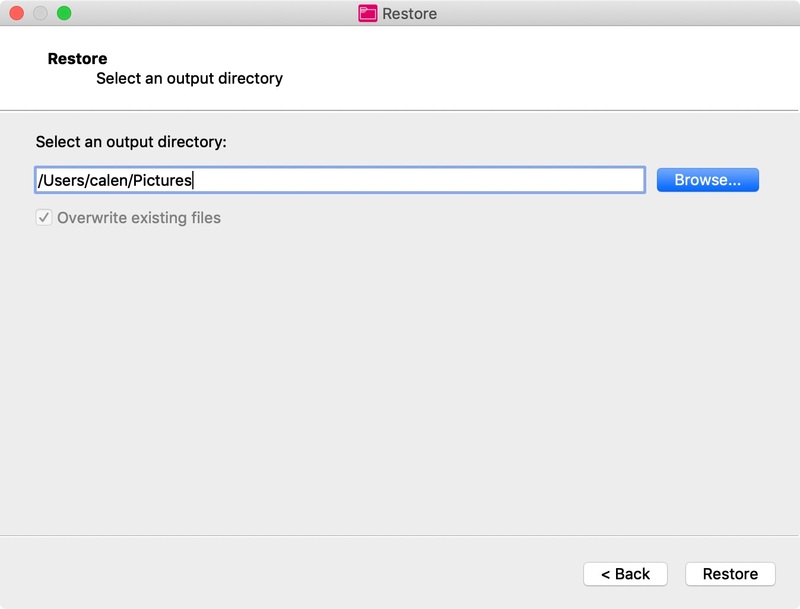 Once you're happy, click "Restore" to begin retrieving your files. Your files will now restore to your selected location. 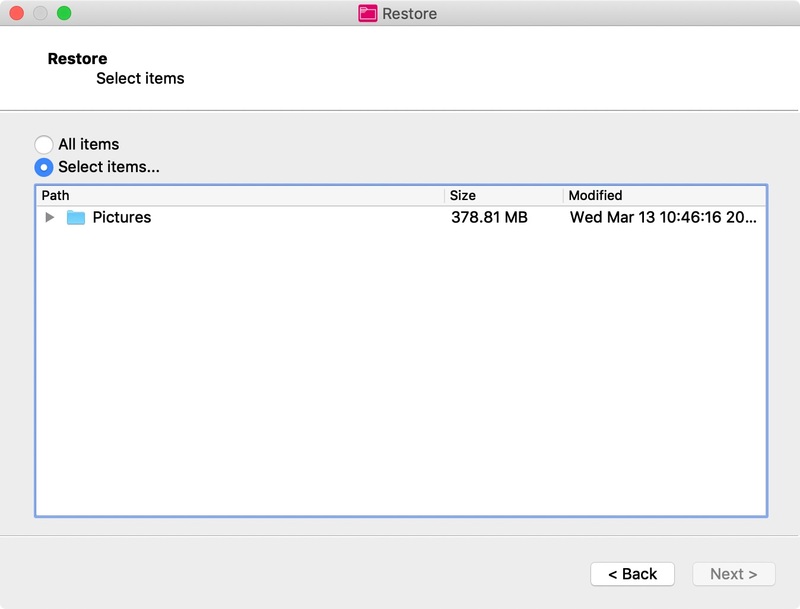 You can view the restore's progress by clicking the Backup tab on the left dashboard.